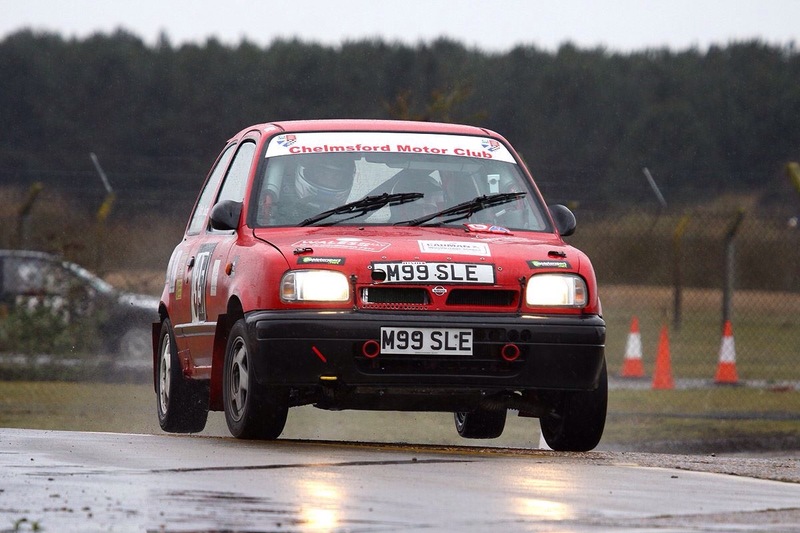 Our next event is the Middlewick Stages at Woodbridge. This will be our first time out there in over a year. This will be the first time for Suze and I out with me driving at the venue for a long time, back when I had the Rover 200. Last time I drove here in the Micra I had a good overall result in the rain. Hopefully being the beginning of May the weather will be a little nicer. In our class are the usual suspects plus Chelmsford MC chairman and fellow pot hunter Jim Bowie out in a hired MGZR from the Rover Centre. Last time out this car beat me, but then it had Owen Turner behind the wheel. Will Jim manage to replicate this result? Either way once again in rallying the first stages will dictate the results, so as ever I will need to be on it from the start. As followers of ‘The List’ will see there is still quite a bit of work left to do on the rally car. Nothing too major hopefully. The front shocks are now stripped and cleaned and with Spax to be re-built. Most jobs on the list are standard pre event prep work, apart from fitting an uprated part to the rear gearbox mount. This should stop the engine/gearbox moving around under load, which I spotted in the wheel arch filming I did at the autosolo (scroll down to see it again). Once the car is ready, I will then hopefully head out for a good shakedown run to get back used to the car and shake everything down. Any final spare time (lol!) will be used to lighten the car using my new blade cutting tool. This entry was posted in Uncategorized on April 17, 2016 by projectmicra.